The British School of Beijing Shunyi (BSB) is looking to appoint an enthusiastic and committed Teacher of Secondary Music to join us from August 2015. The successful candidate will have the opportunity to teach throughout the secondary school, including to iGCSE and International Baccalaureate level. Music is a flourishing subject at the school, with a host of talented performers of all ages and a wide range of extra-curricular activity on offer. BSB is at an exciting stage of its development, having grown very significantly in the past few years and now numbering approximately 1,100 students aged 1-18. 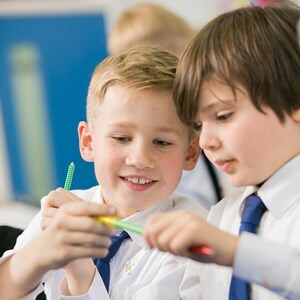 The school offers the English National Curriculum in the Early Year and Key Stages 1-3, with a broad range of iGCSE examinations being undertaken at Key Stage 4. In our Sixth Form, students follow the International Baccalaureate Diploma, and full training will be provided to colleagues, as appropriate, who have previously experienced other post-16 qualifications. 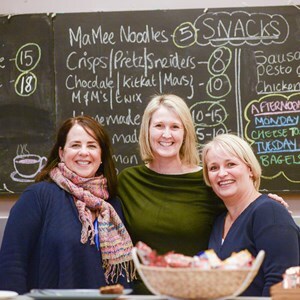 We are also delighted to have our own German Primary School, delivering the Thuringia curriculum Klasse 1- 4, which is integrated into the Primary School and which offers German speaking parents the choice of either pathway. 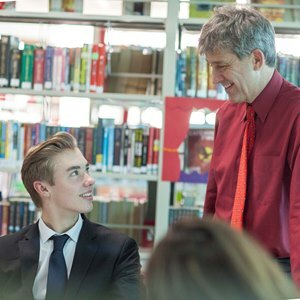 The school is housed in a purpose-built campus with outstanding facilities in the Beijing suburb of Shunyi, some 20 km from the city centre, which is much favoured by expatriate families. The area is safe and has excellent facilities for teachers, whether coming alone or with your family. The school will organise accommodation for you in one of the convenient and secure local housing compounds; although, after the first year, some of our unmarried colleagues do prefer to move closer to the centre of the city, from where transport is provided on a daily basis. Beijing is without doubt one of the most exciting cities in the world in which to live. The city is changing almost daily due to the flourishing Chinese economy, and yet maintains one of the most culturally rich environments imaginable – the Forbidden City, the Great Wall (which you can see from the school) and the histories of the various dynasties are all easily accessible for a day visit, as are all the cultural, musical, dramatic and sporting activities and nightlife that you would expect from one of the world’s major capital cities. The Western media has written much about the pollution in our city, and it can be bad on occasion, but we have full measures in place to ensure our school is almost pollution free, and the sunny Beijing ‘blue sky’ days far outnumber the bad pollution days. 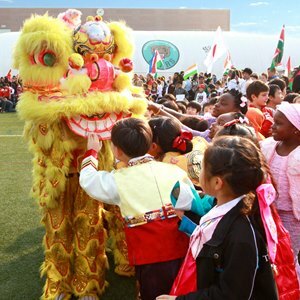 Above all, the local population welcome our international colleagues warmly and we maintain excellent relations with our local Chinese schools and community. As the British School of Beijing is a member of the Nord Anglia Education family of premium international schools, the successful candidate will be joining an international team in which thoughts and ideas are shared around the globe. This is an exciting time to be joining Nord Anglia Education, which now has 31 schools in 13 countries and is responsible for the education of approximately 20,000 students. 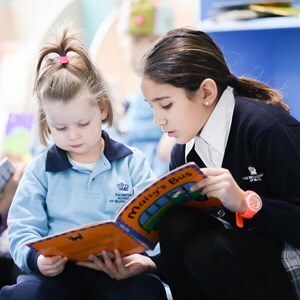 Nord Anglia is a thought leader in international premium education, notably through its principles of High Performance Learning and the use of the Global Classroom, a fully connected online learning community across all our schools. Above all, we believe that every student can achieve amazingly if they pursue their dreams and aspirations, be that academically or in the other fields in which we excel, such as sport, the performing and creative arts, leadership or commitment to the community. If you would like to be part of that success, we look forward to receiving your application. Applications should be made online following the link below, and contain a CV, letter of application and the details of two professional references. Any offer of appointment will be subject to medical and Disclosure and Barring Service clearance. Closing date for applications is Monday 8 December 2014. Long-listed candidates will be contacted during the week commencing 8th December (although early applicants may be contacted more quickly) with initial interviews taking place, conducted remotely by telephone, Skype or video conferencing before Christmas. Final interviews will take place in London between Friday 2 and Friday 9 January 2015 (including the possibility of the weekend) although alternative arrangements may also be made if necessary and possible.